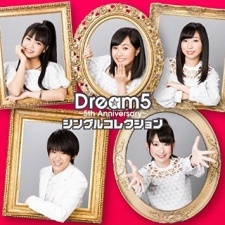 Dream5 (ドリームファイブ) is a Japanese pop group founded by the NHK show Tensai Tenrebi-kun MAX. They debuted on November 4, 2009 under the label avex trax. They disband on December 31, 2016. Momona Tamakawa 玉川桃奈 (Dancer) - Graduated on April 30, 2016. Disband at the end of this year.